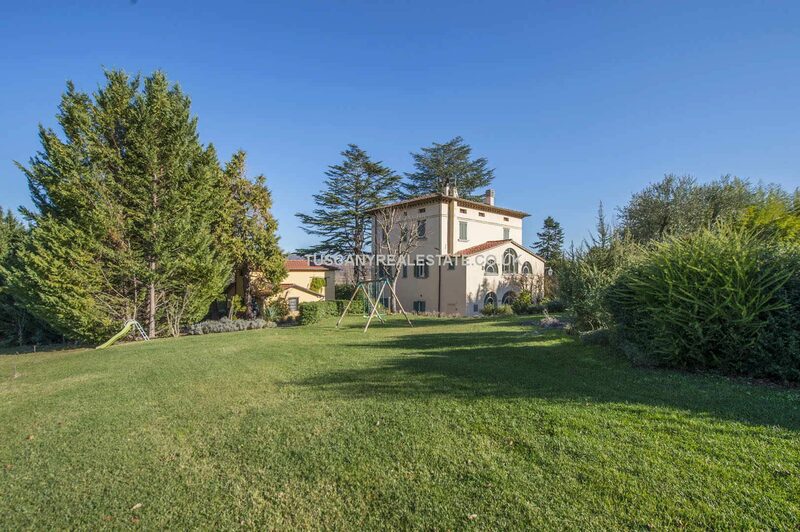 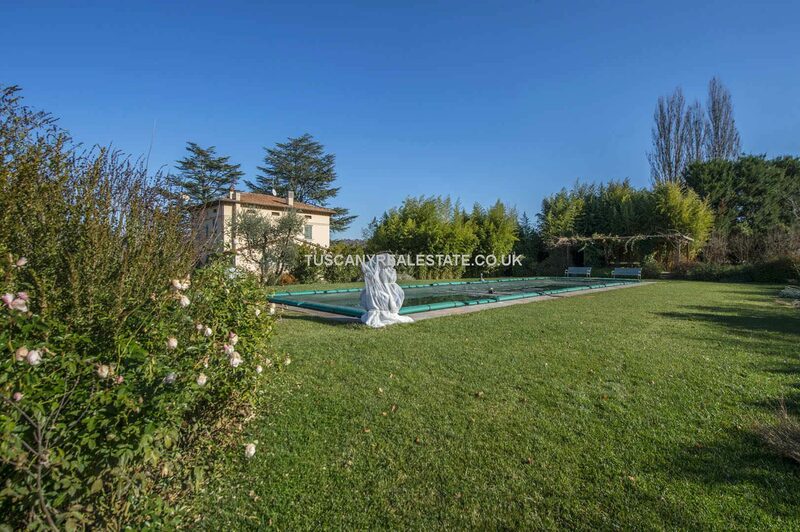 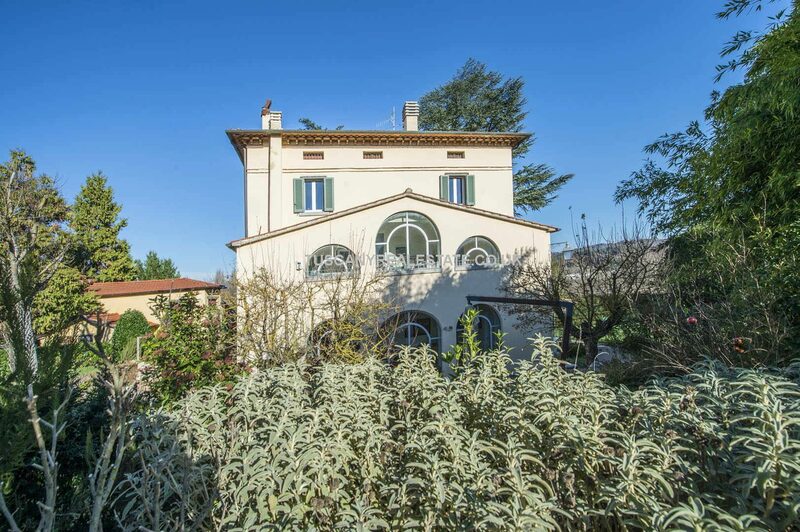 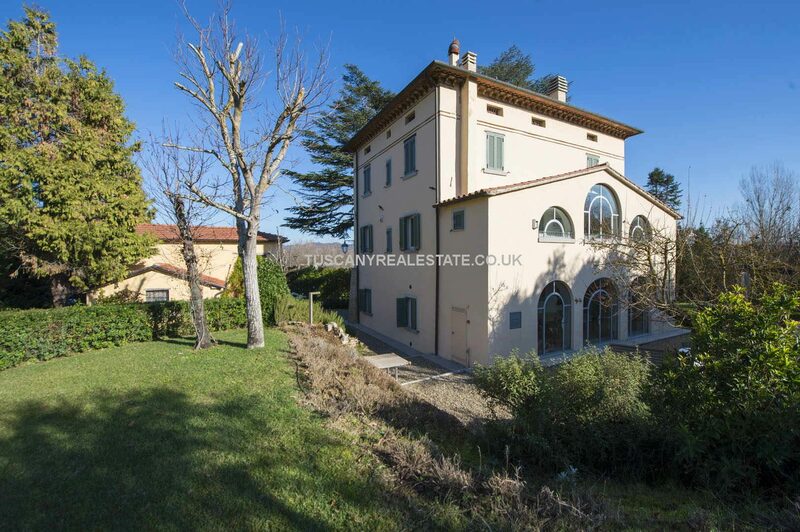 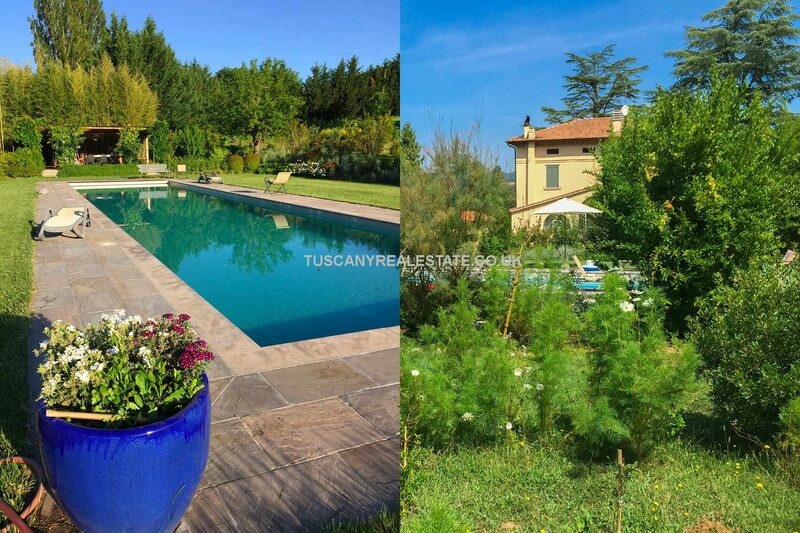 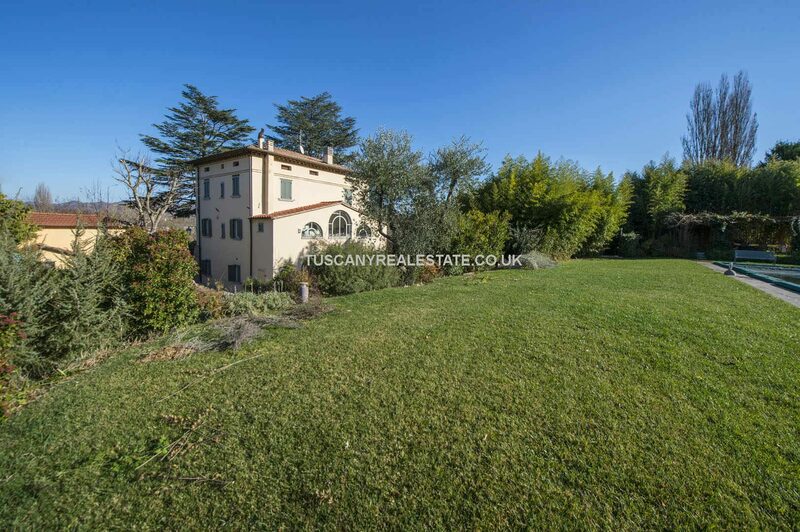 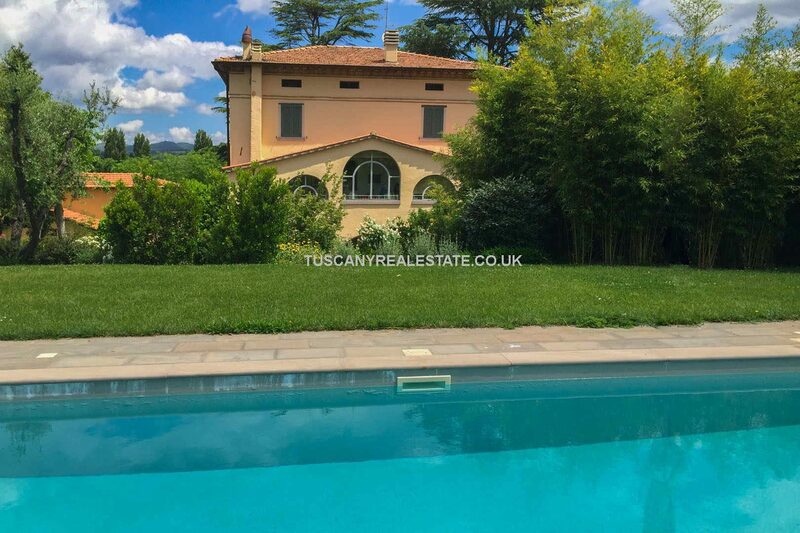 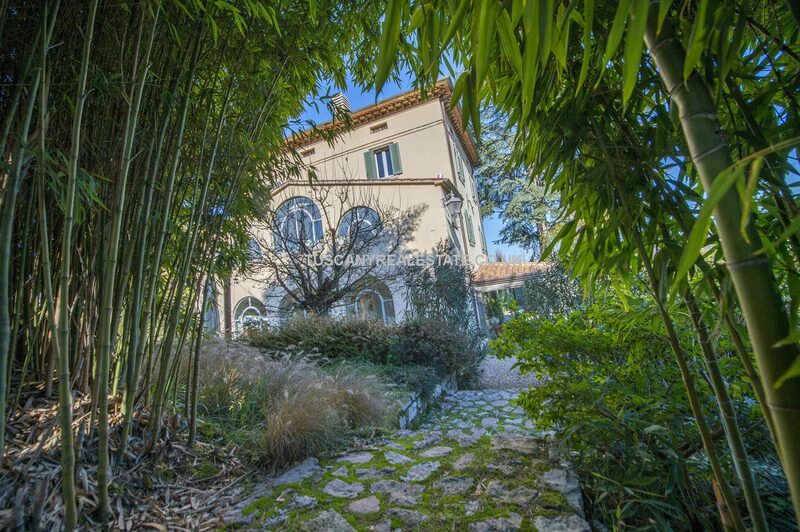 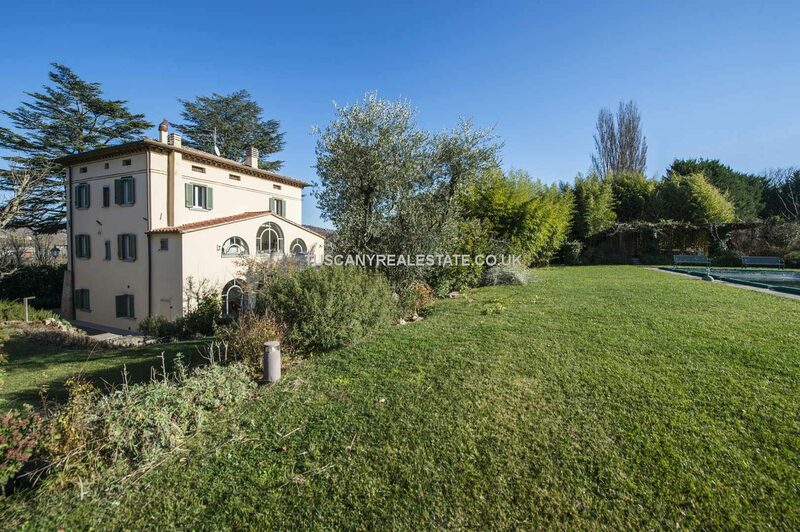 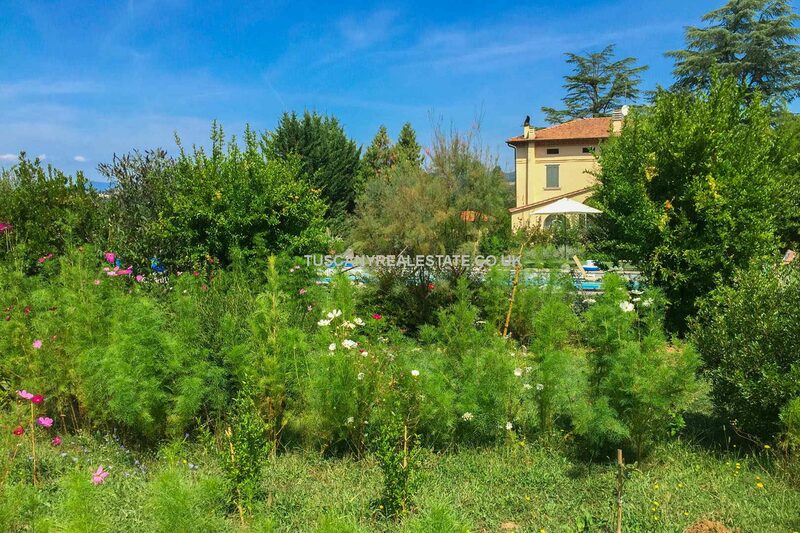 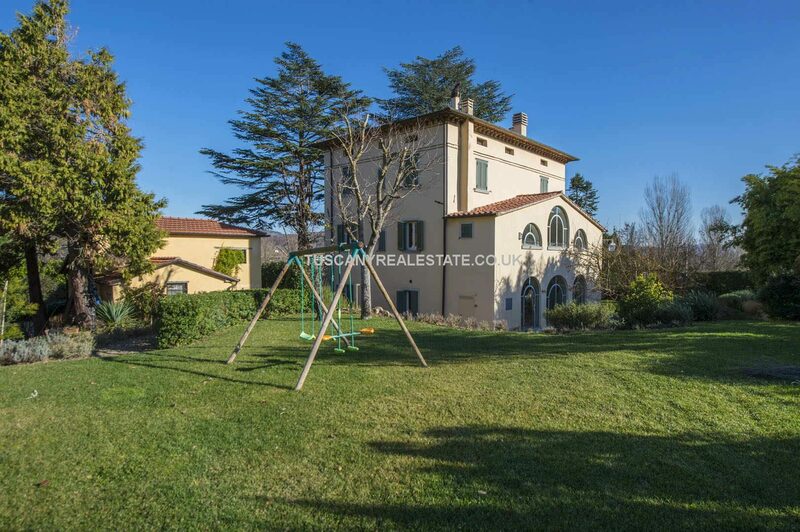 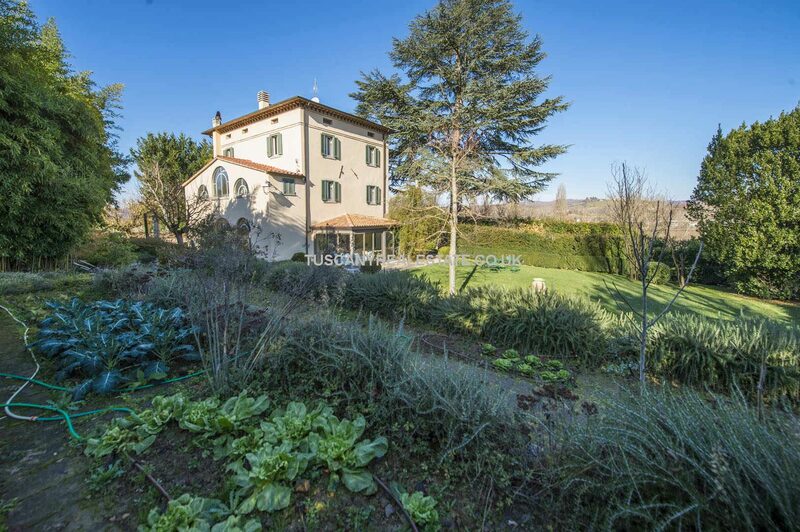 Lovely large villa, in the Liberty style, with pool and gardens located near to Umbertide in Umbria. 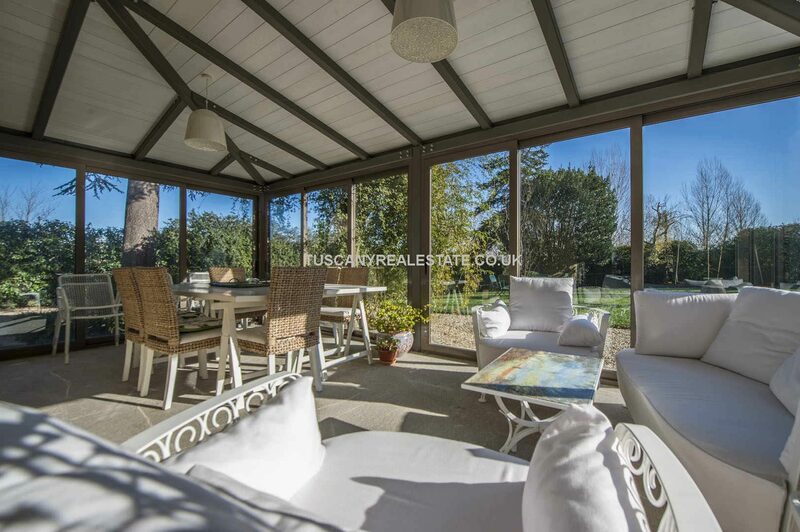 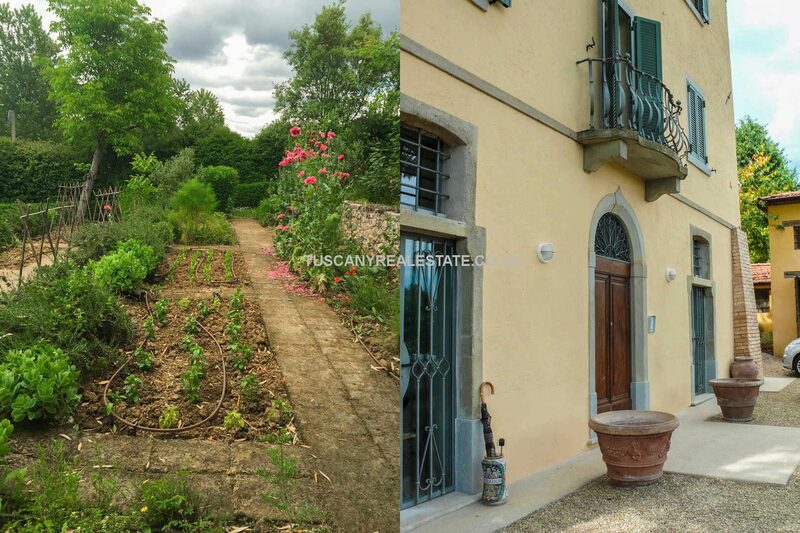 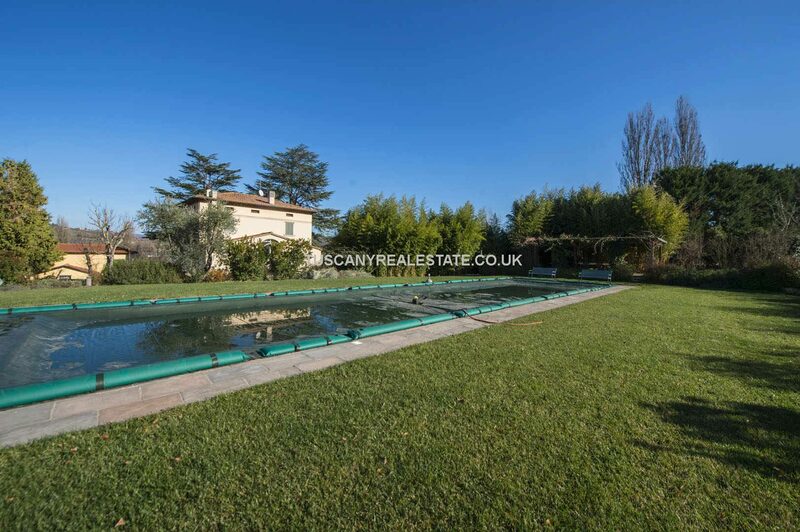 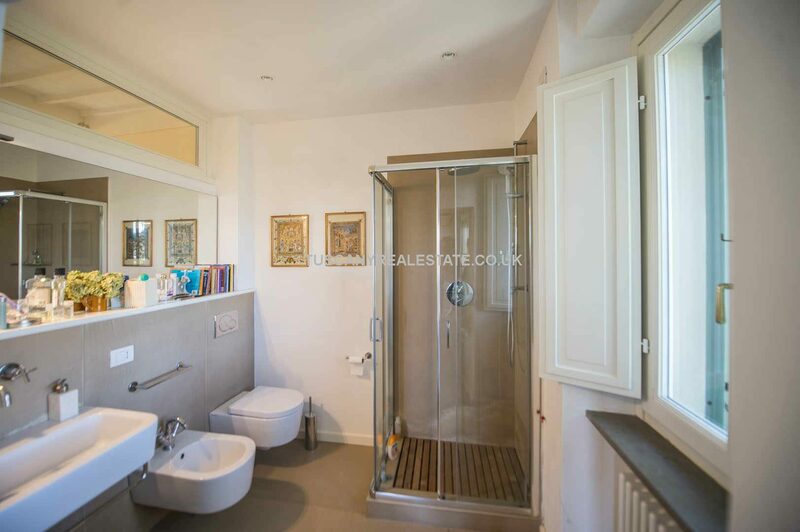 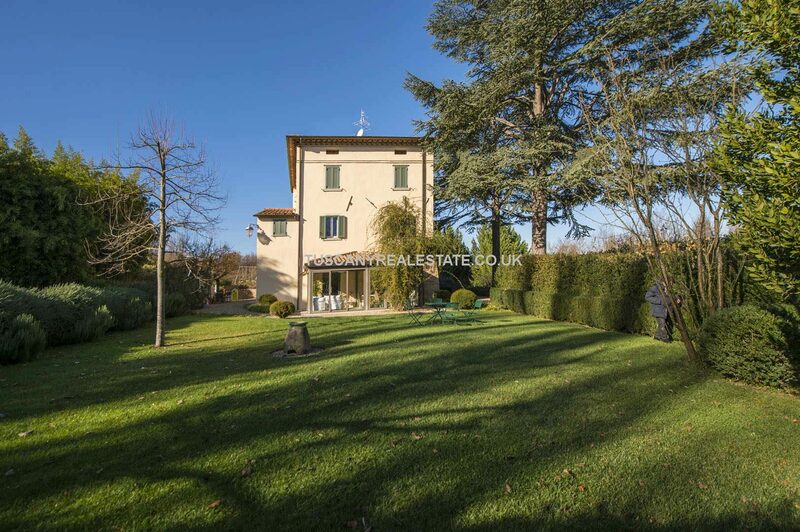 The property is in excellent condition and stands in 2 hectares of land, 6,000mts of which are mature gardens. 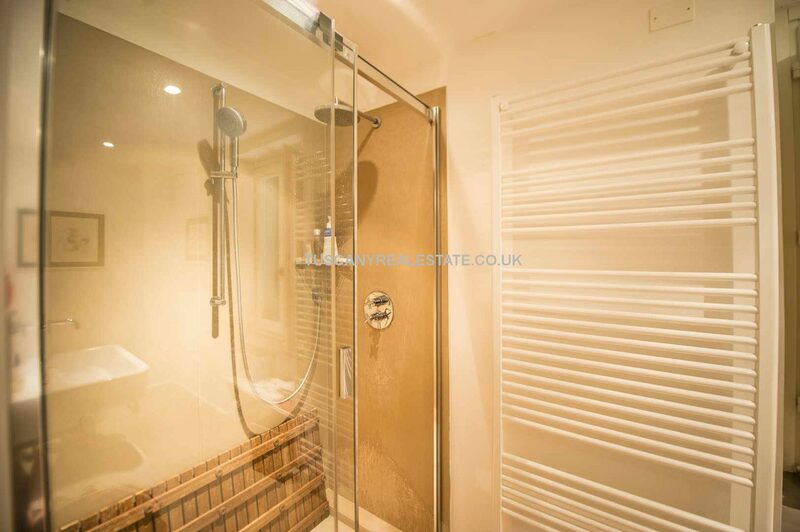 6 bedrooms and bathrooms. 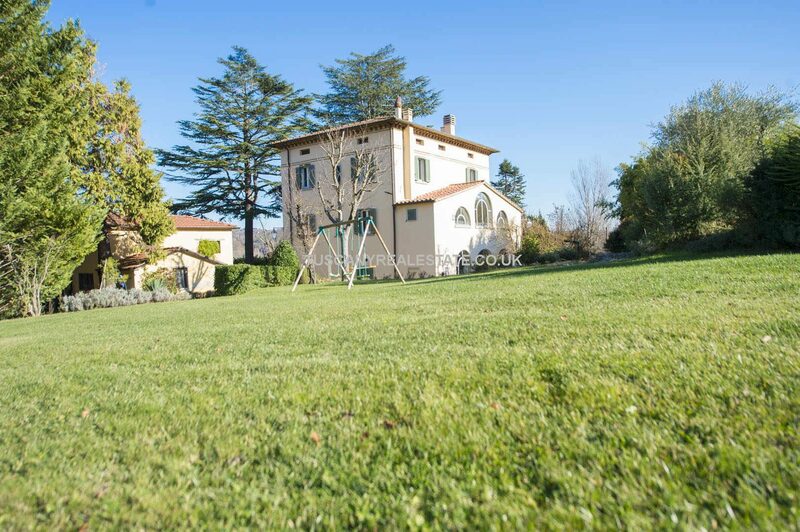 Ideal large family home or commercial holiday use. 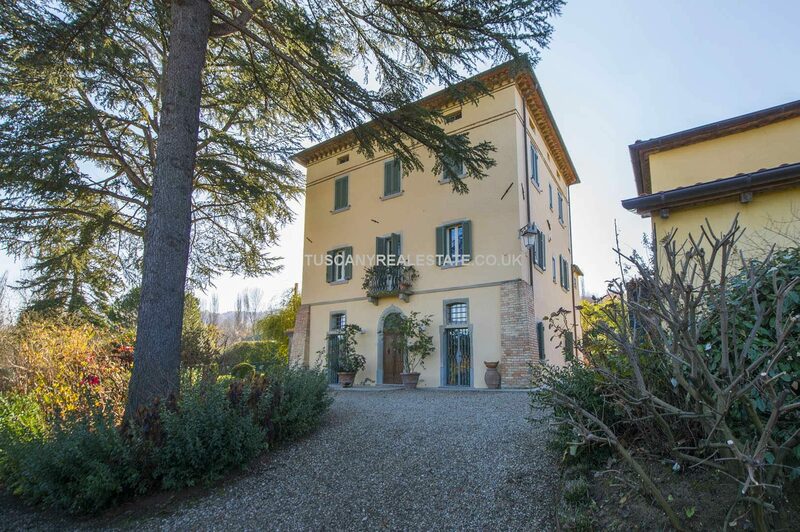 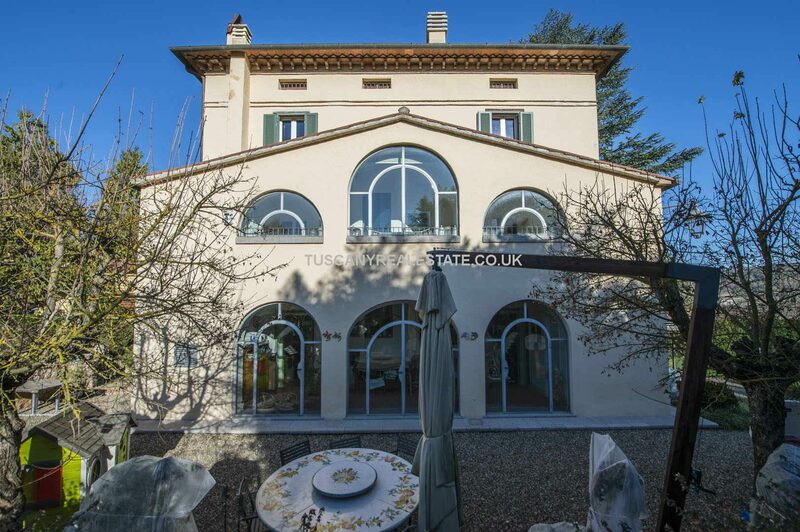 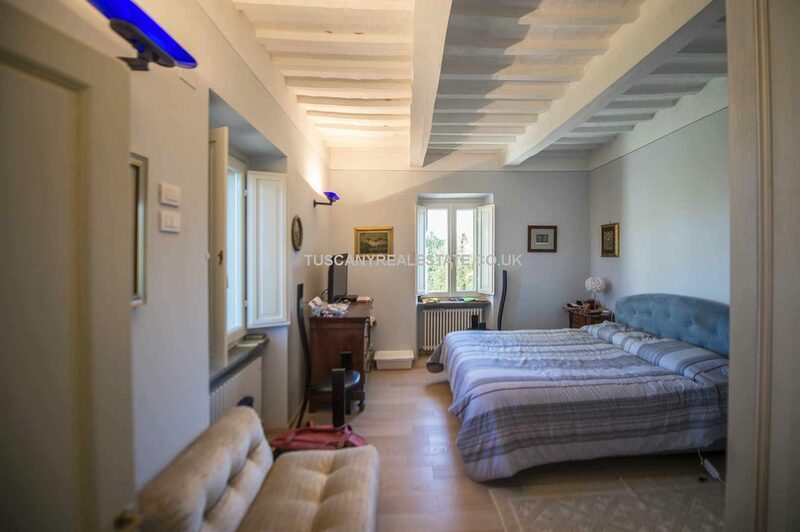 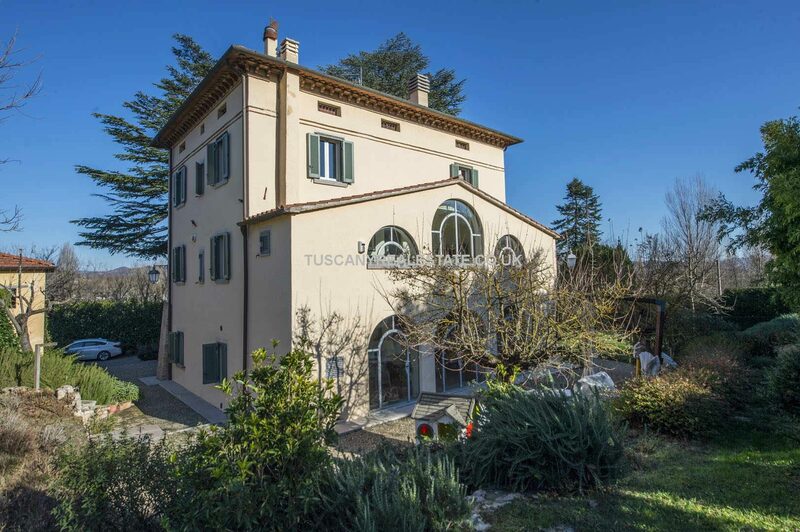 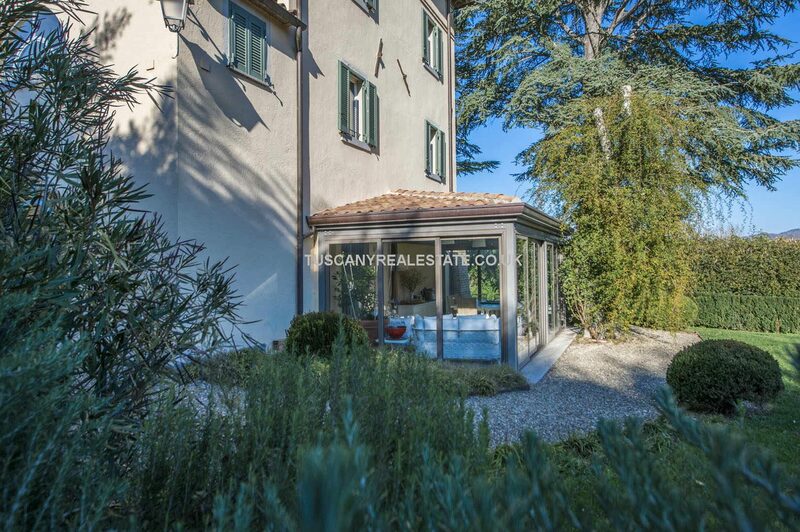 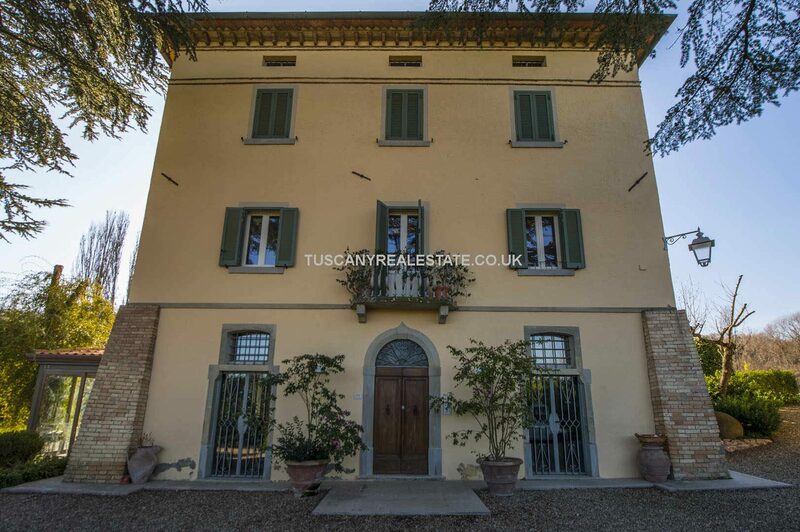 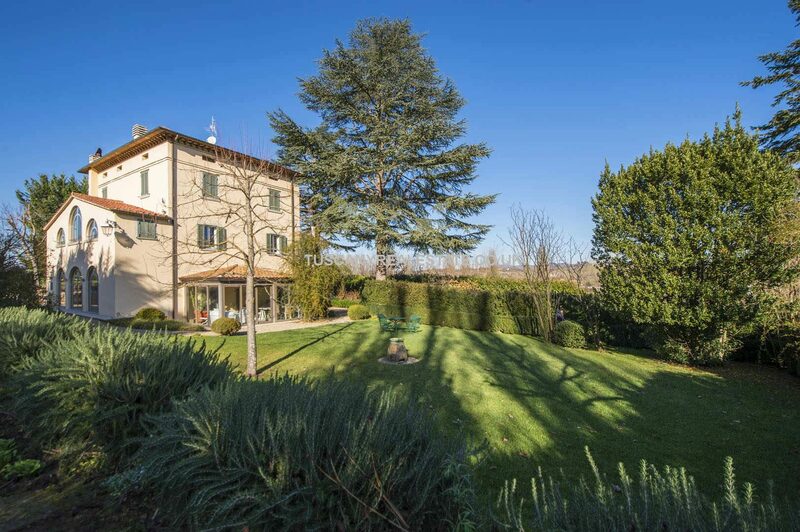 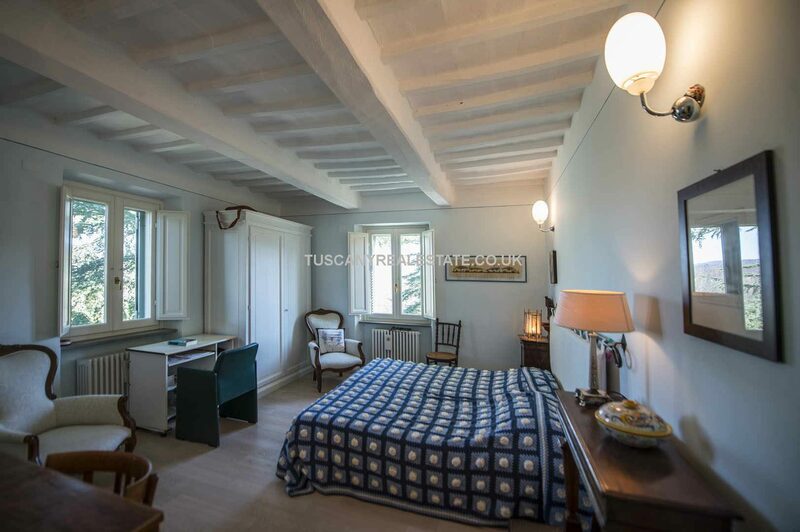 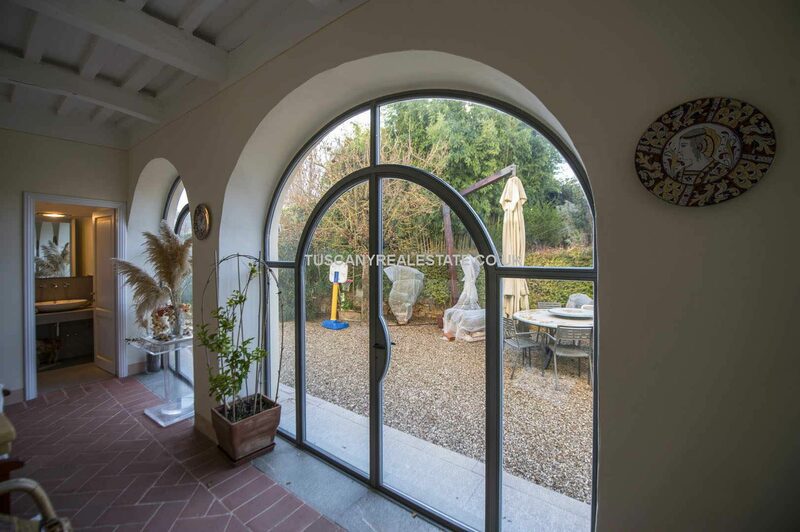 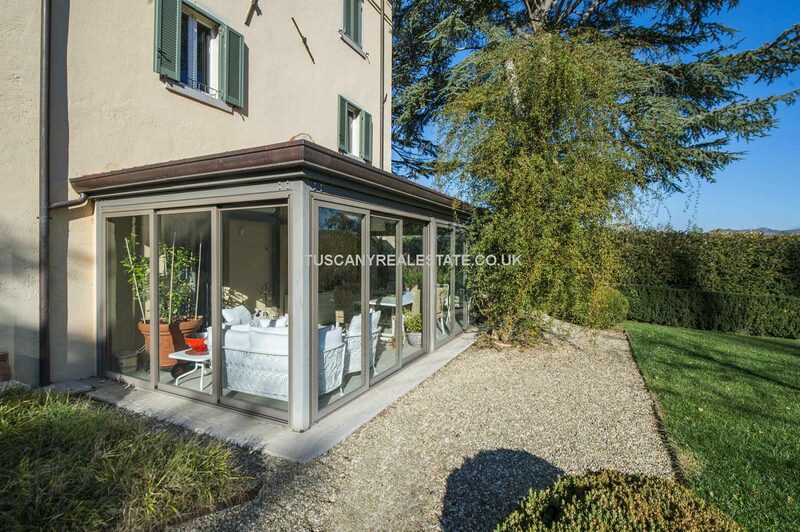 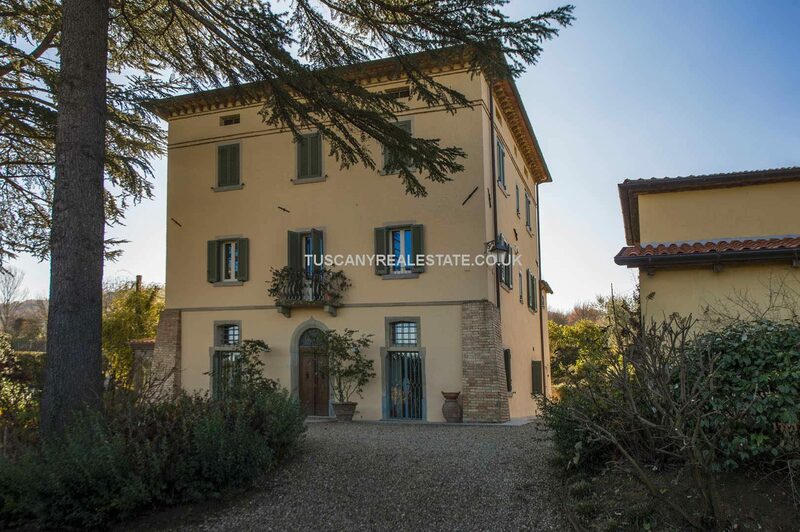 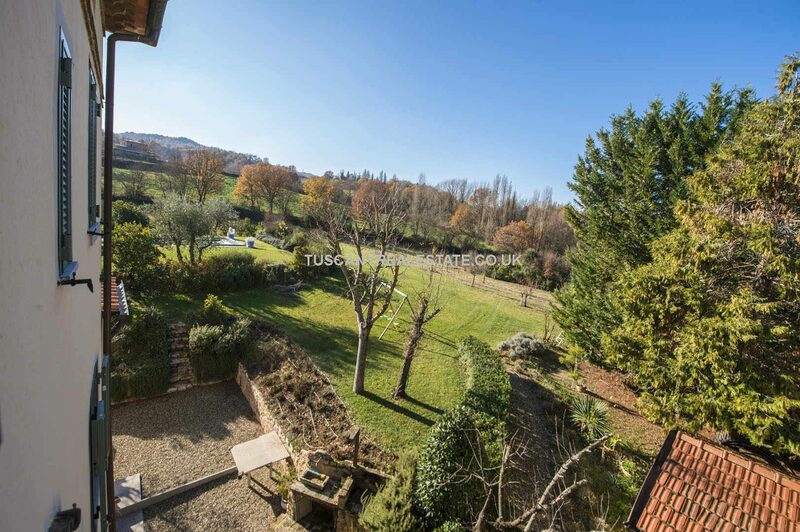 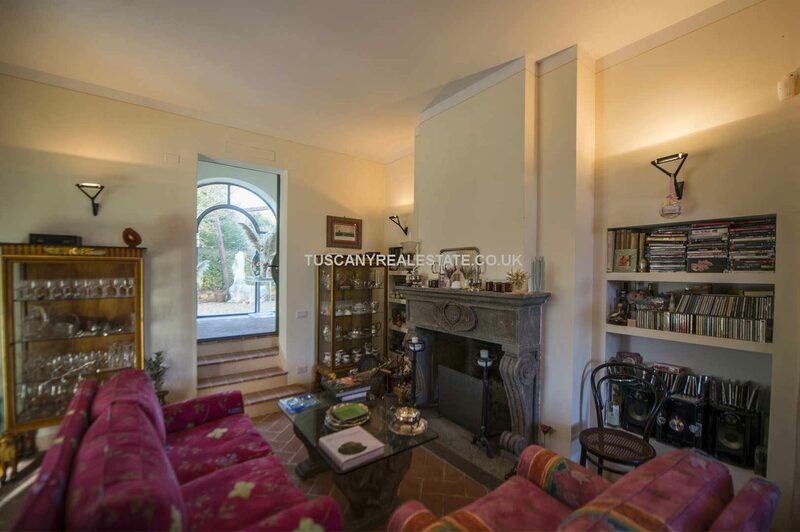 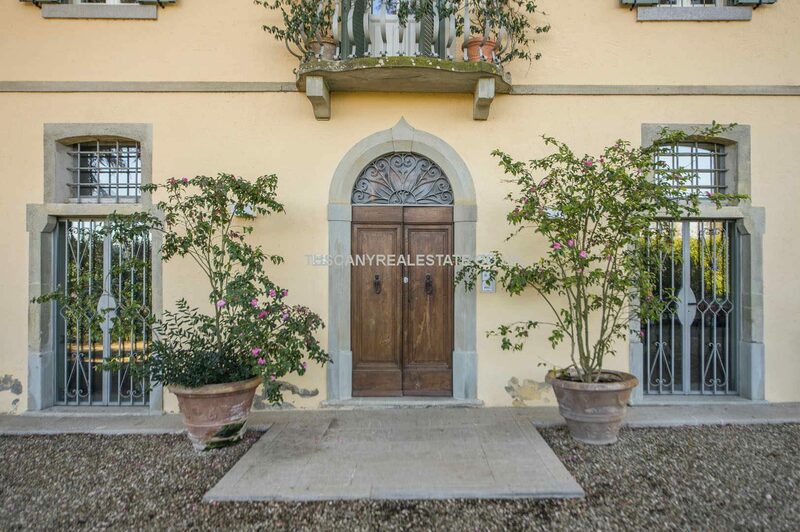 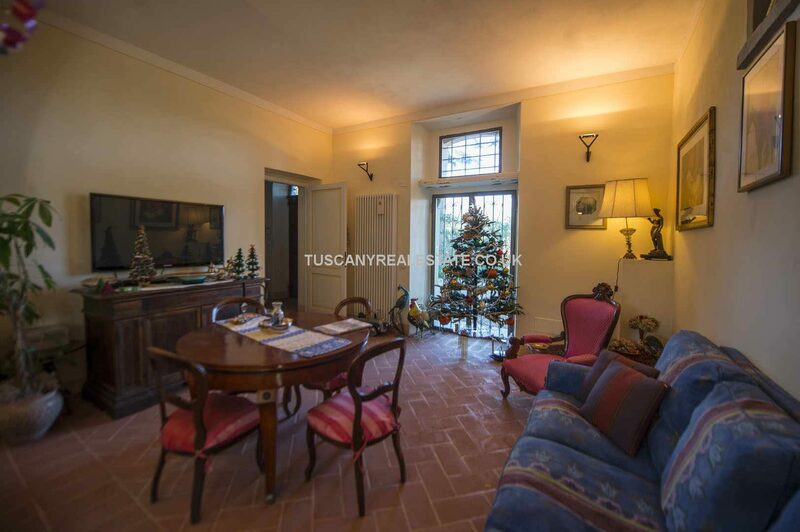 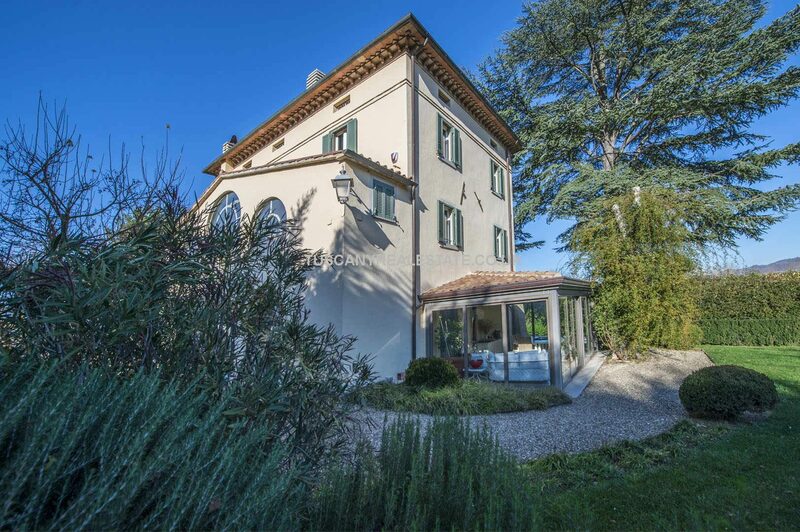 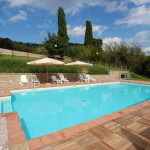 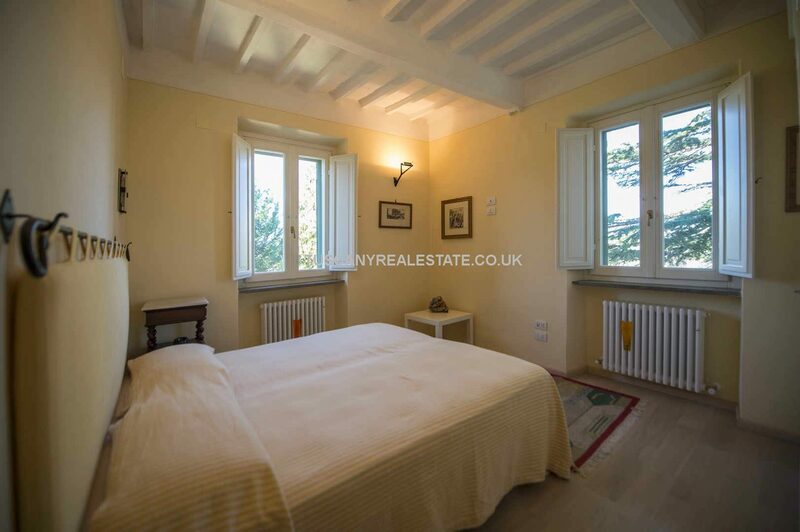 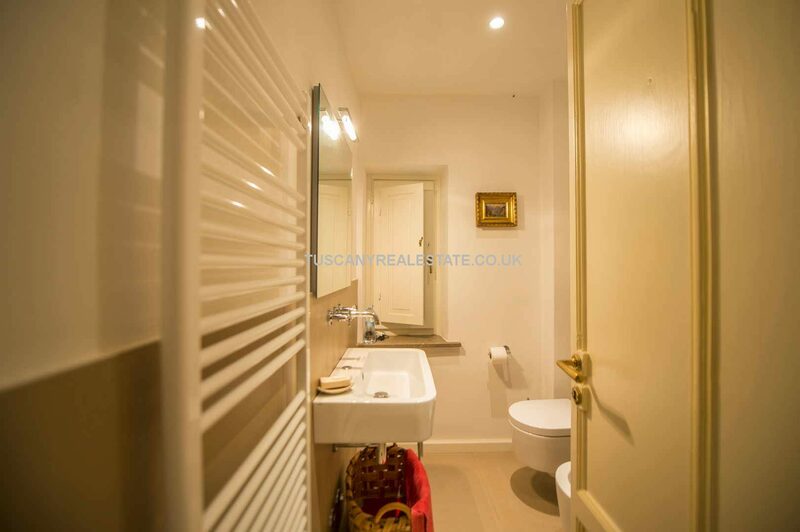 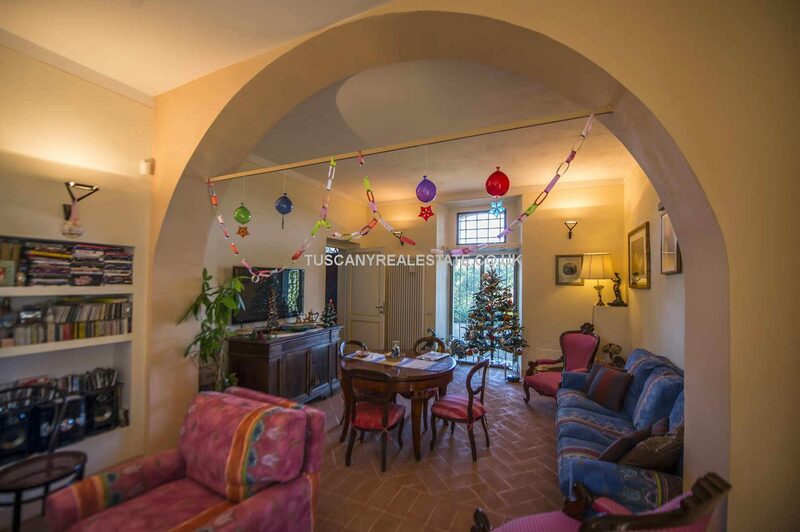 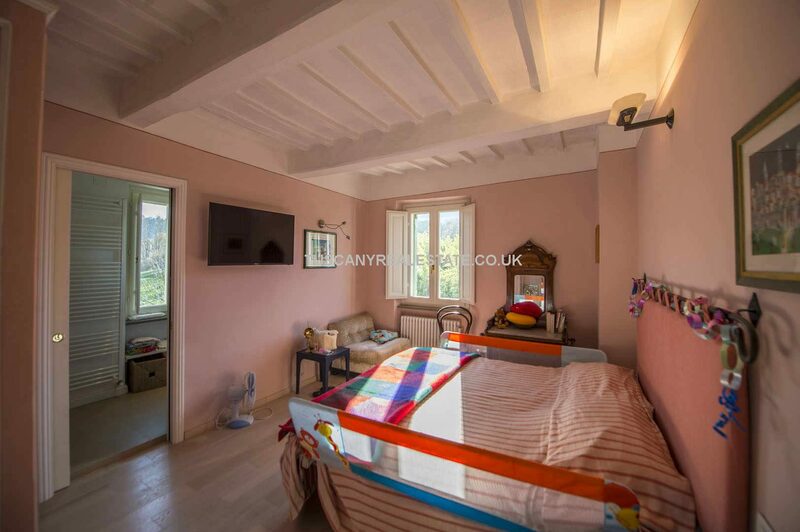 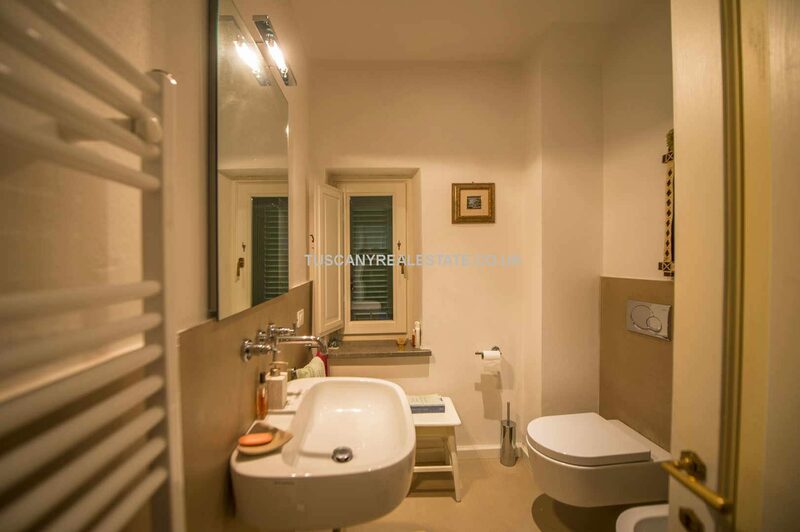 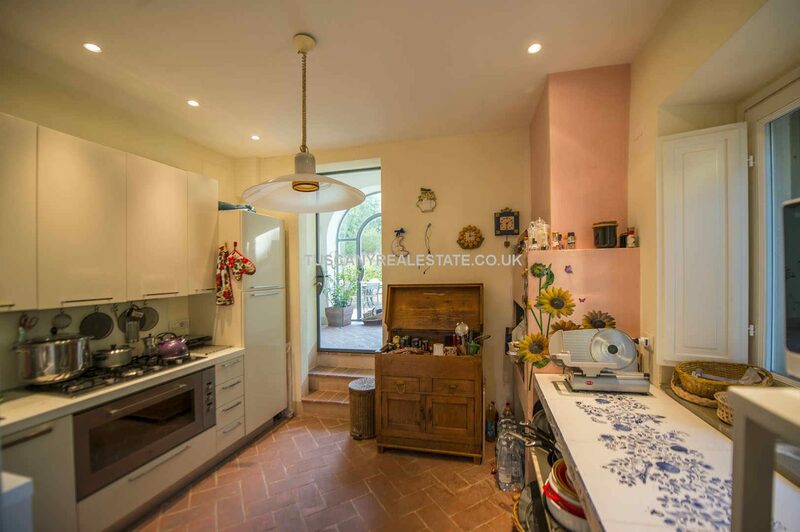 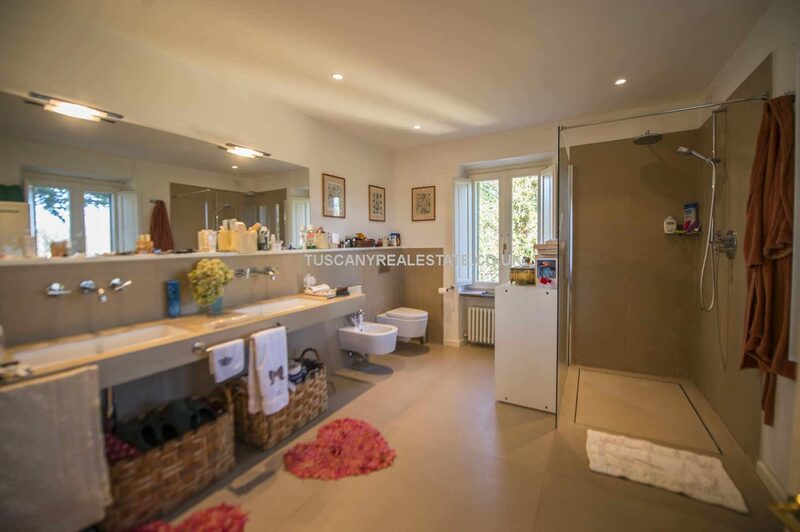 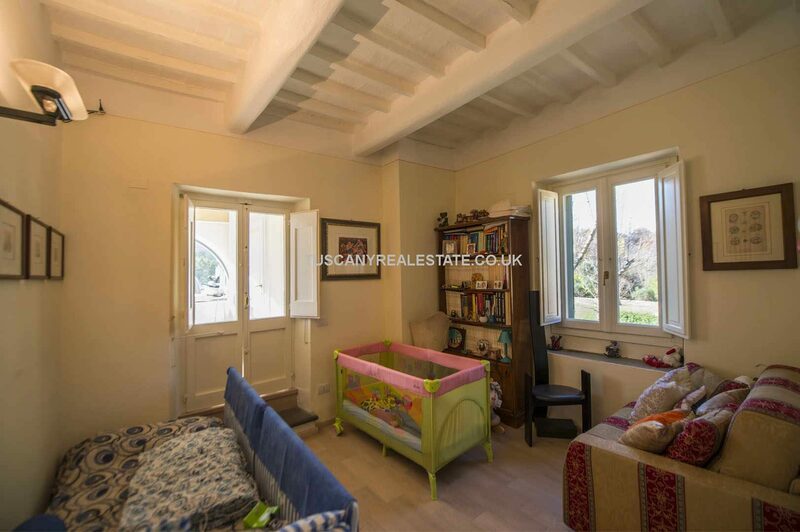 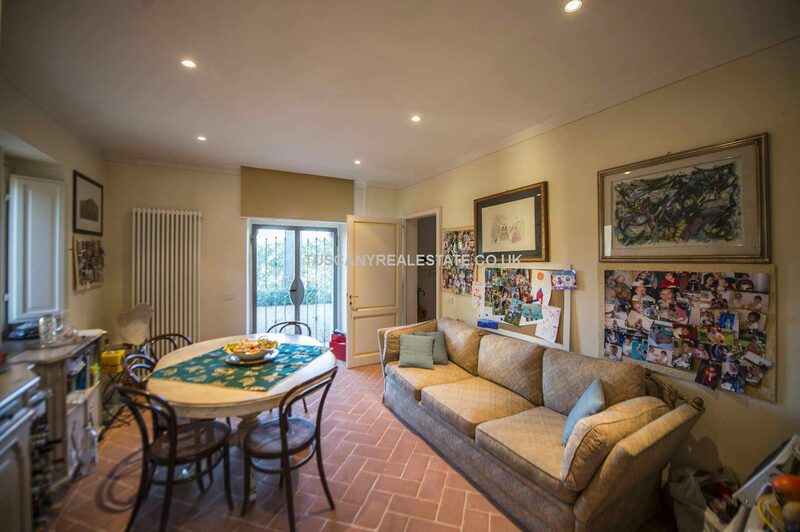 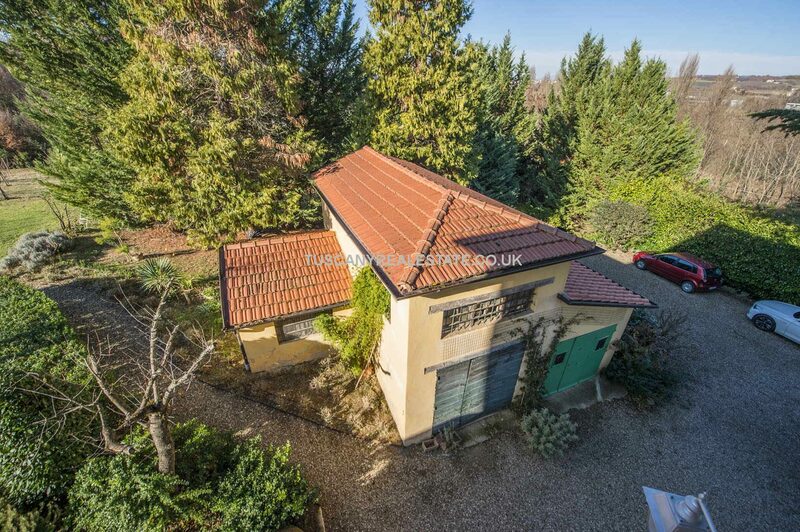 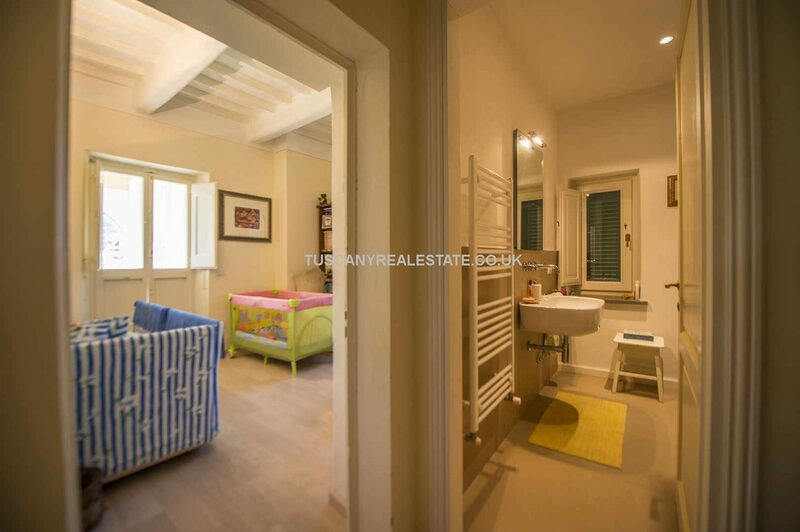 Not far from a town with all the services (2km; 5’) in the municipality of Umbertide and speedily accessed via the municipal road network, this lovely villa is located in a quiet position with easy travel links to several of the most known and appreciated towns of Umbria and Tuscany. 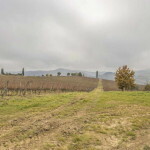 For example Umbertide (8km; 10’), Città di Castello (19km; 15’), Cortona (40km; 50’), Gubbio (42km; 40’), Perugia (45km; 40’), Assisi (58km; 45’), Todi (87km; 1h 5’) and Spoleto (96km; 1h 5’). 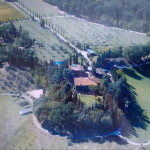 The closest airports are Perugia Sant’Egidio (44km; 35’), Ancona Falconara (145km; 1h 40’), Firenze Peretola (149km; 2h 5’), Bologna Marconi (207km; 2h 10’), Pisa Galilei (209km; 2h 45’), Roma Ciampino (225km; 2h 25’) and Roma Fiumicino (240km; 2h 30’). 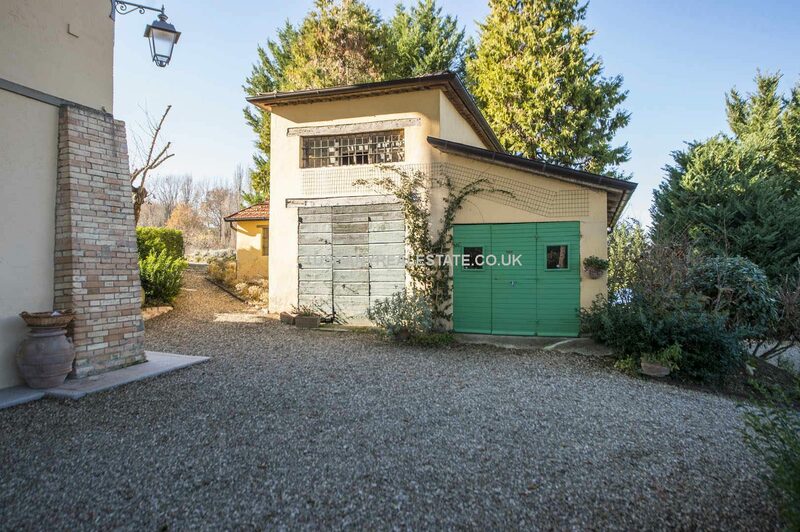 An annex (120 sqm – 1,291 sqft) is currently used as a storage room and depot, but could easily be converted into a dependance to increase the number of rooms available. 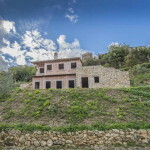 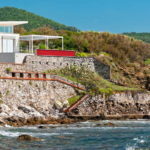 This Liberty style villa is in excellent condition. 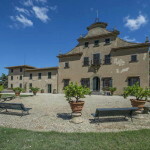 The façade is extremely regular, with three orders of stone-framed windows one above the other and masonry buttress. 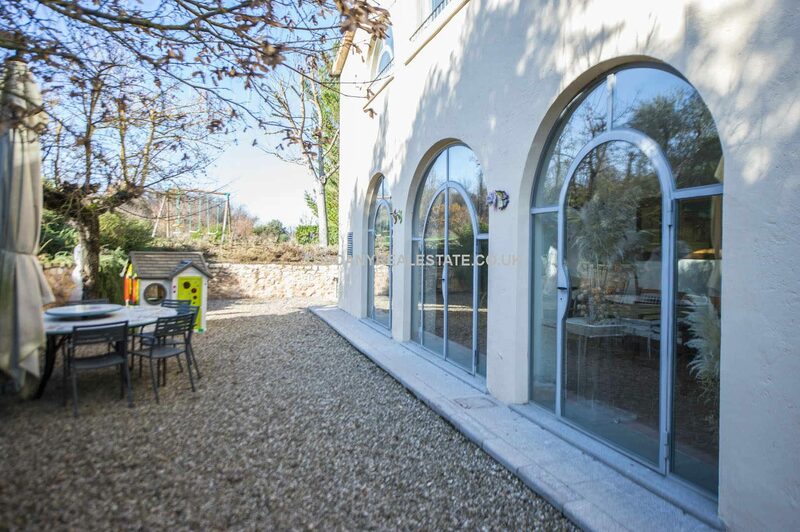 On the rear there is a portico closed by glass windows. 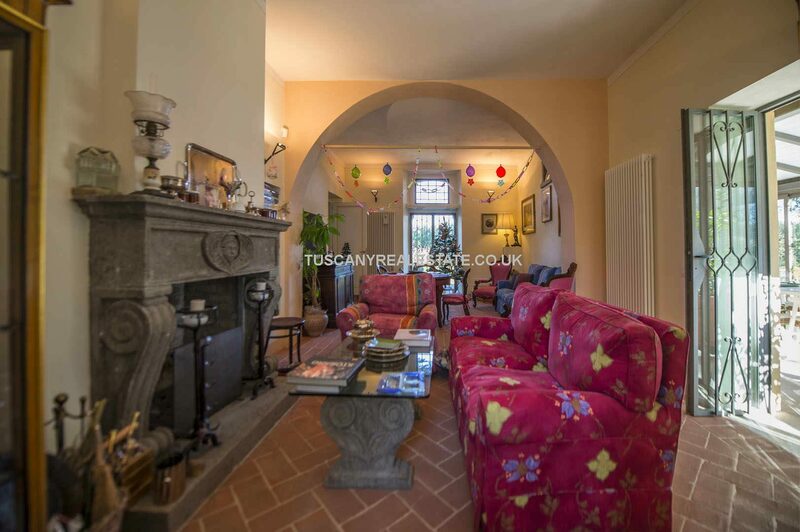 On the inside, classical elements such as terracotta floors and stone fireplaces clash with more modern fittings such as the led spotlights and the veranda made up of metal and glass. 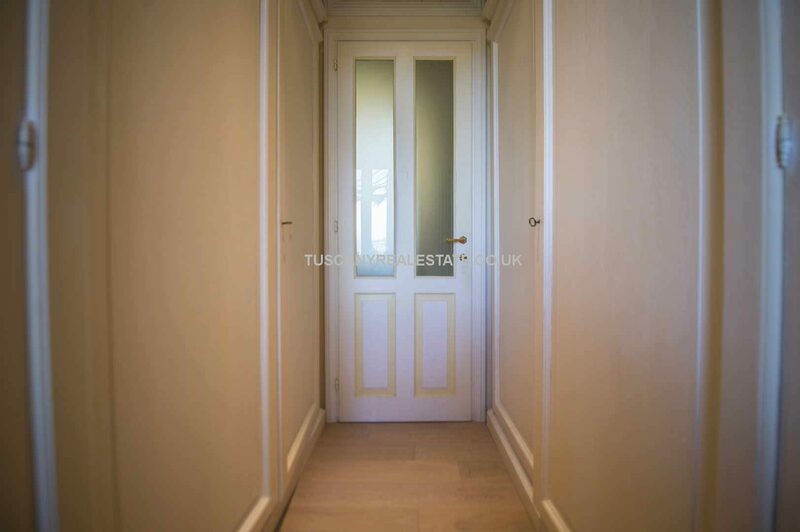 Upstairs are parquet floors. 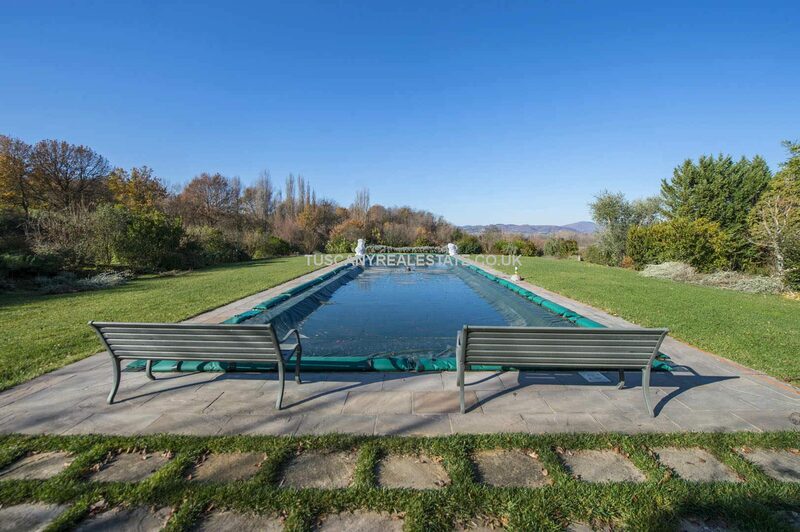 Not far from the building there is also the 20 x 5 m swimming pool, surrounded by a stone walkway. 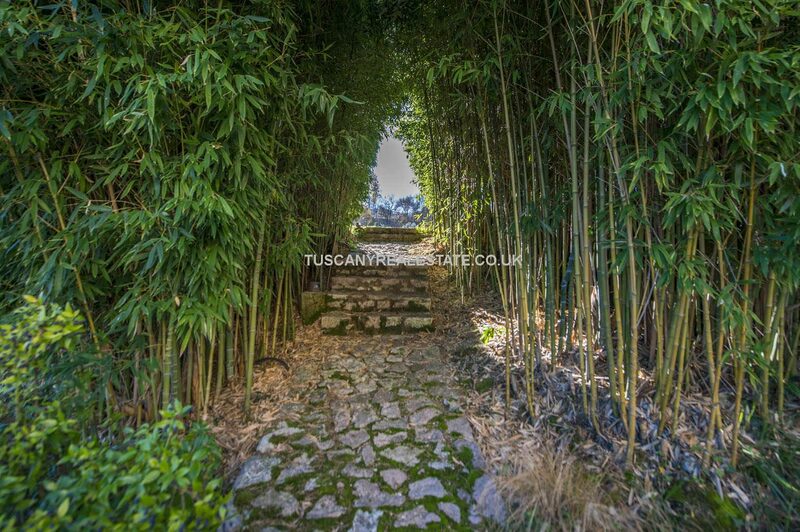 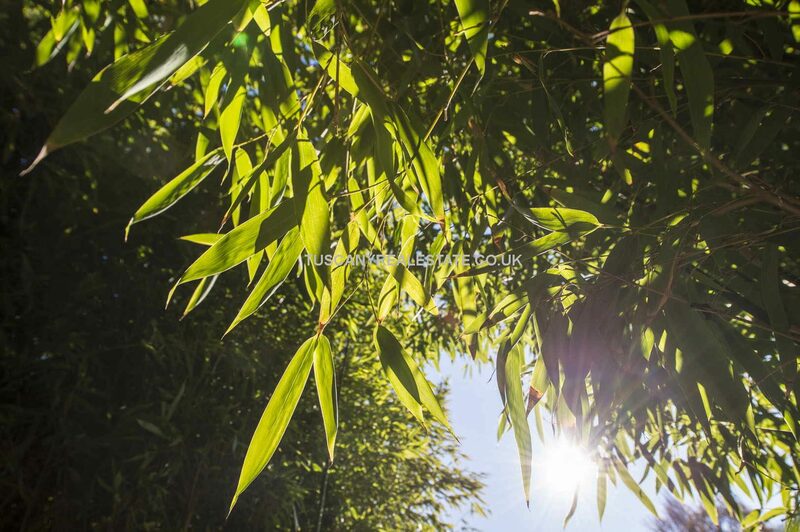 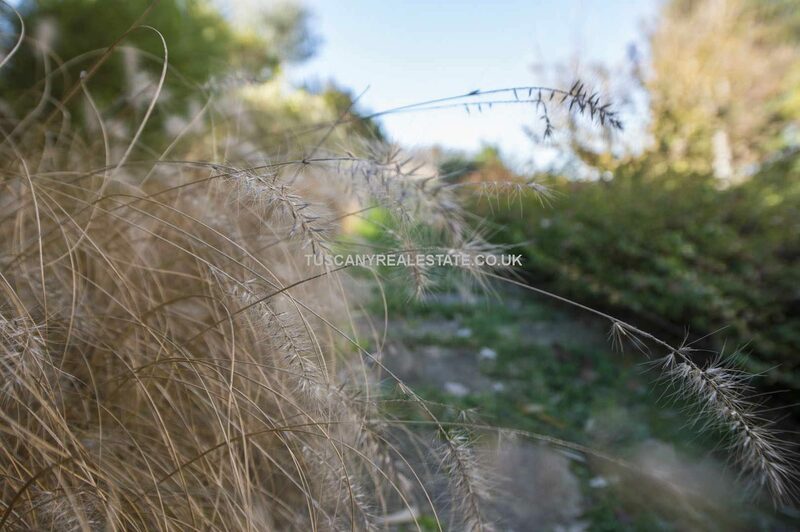 2 hectares of land, 6,000 mts of which mature gardens with hedges, high trees and bamboo.